There are two things that I wouldn’t want to deal with in the morning: explaining that I am not a tween and having someone stand between me and that piping hot cup of joe. For thousands of Starbucks users my morning nightmare scenario came true earlier this week. GeekWire reports that Starbucks canceled the Gold accounts and deactivated associated rewards cars of thousands of customers over issues with its compliance policy; namely the fact that the company didn’t have proof the account holders were over the age of 13. Starbucks employs a number of rules to protect itself from fraud and deceptive practices, and that apparently includes making sure Gold account users are over the age of 13. Although there is no doubt that Starbucks asks for members’ birthday – how else do you get a free drink on your day of birth? – the reporter for GeekWire failed to find an area where the company actually asks for a specific year and not just the month and date. While it is certainly a frustrating experience to have your account deleted, it’s another thing to possibly lose all those points and rewards you’ve racked up from daily coffee jaunts. 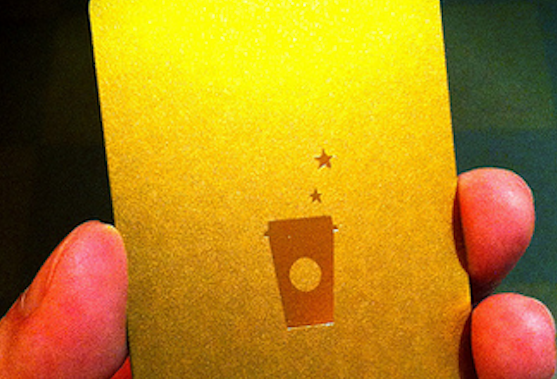 Customers reach Gold status by spending a certain amount at Starbucks every year, they then earn benefits such as discounts on drinks and food. The Starbucks spokesperson tells GeekWire that customers whose accounts were deleted can reach out to customer service to have their premier status reinstated. Additionally, customers will have their account balance refunded in the form of an e-gift card. Still, that didn’t do much to appease the those who had to deal with customer service before getting their coffee. One affected customer told GeekWire that he spent nearly 45 minutes on hold with Starbucks customer service before the issue was fixed.